Exports of waste derived fuels from England in 2016 look to have exceeded 3 million tonnes, latest Environment Agency figures indicate. According to provisional Agency data released for January to November 2016, a total of 2,884,866 tonnes of waste derived fuel was approved for export – roughly 262,000 tonnes per month. The feedstock material predominantly consists of refuse-derived fuel (RDF), but a growing amount of solid recovered fuel (SRF) has also been highlighted by the Agency in its monthly figures. 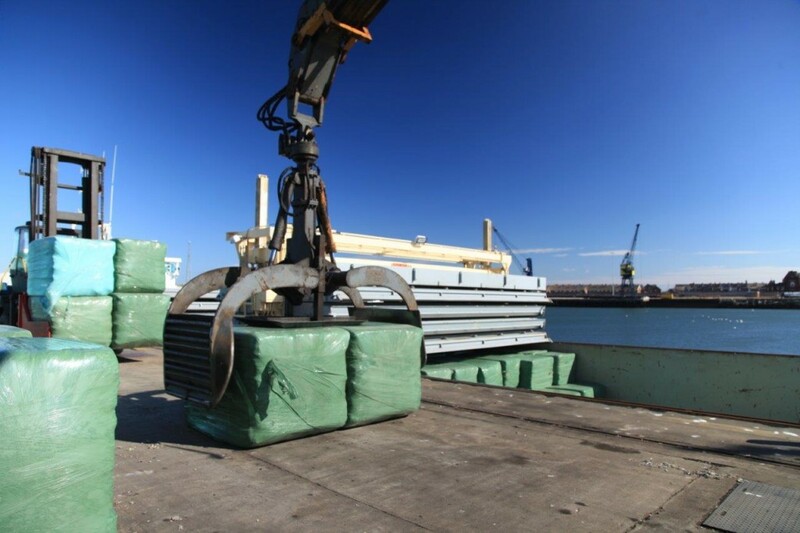 The total already puts export tonnages ahead of the final figure for 2015, which saw 2,822,708 tonnes of material approved for export across the 12 months. Provided average monthly tonnages for 2016 carry through to December, England looks set to pass the 3 million tonne export mark – achieving an estimated annual figure of around 3.1 million tonnes. 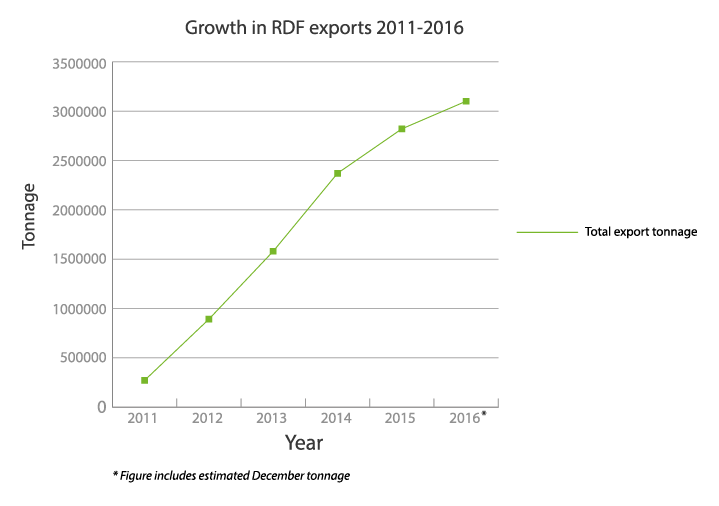 However, the provisional figures also provide further evidence that RDF exports from England are continuing to level out. In 2014, exports of waste derived fuels shot up to 2.37 million tonnes – more than 750,000 tonnes greater than the amount exported in 2013. But in 2015 the gap began to close, with exports rising by an estimated 450,000 tonnes on the previous year. 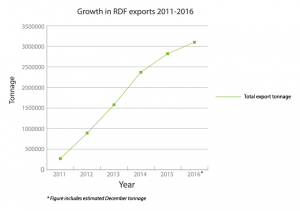 A decline in the rate of increase of RDF exports has long been predicted as more opportunities arise on the domestic energy from waste market and incinerators in Europe begin to reach capacity. In terms of market share, the Netherlands continued to be the largest recipient of RDF from England during the first 11 months of 2016 by a large margin, accepting 1,419,884 tonnes – around half of all material shipped out. This was followed by Germany, which received 620,488 tonnes of RDF, Sweden at 363,349 tonnes and Denmark at 189,818 tonnes. Other countries to receive smaller amounts of RDF were Norway, Latvia, Portugal, Cyprus, Belgium, Spain and France. Interestingly, the data also records exports of solid recovered fuel to Morocco and India. Meanwhile, the 11 month data revealed Biffa as the largest exporter of waste derived fuel in England for the second year running, with 381,890 tonnes sent abroad – roughly 13% of the market share. The company was followed closely by Suez, which exported 238,714 tonnes and N&P Alternative Fuels at 274,975 tonnes. FCC, Seneca Environmental Solutions, Andusia Recovered Fuels, Geminor UK Ltd and New Earth Solutions West all exported more than 100,000 tonnes. Other exporters included Veolia and Grundon, which exported 55,859 tonnes and 33,417 tonnes respectively. 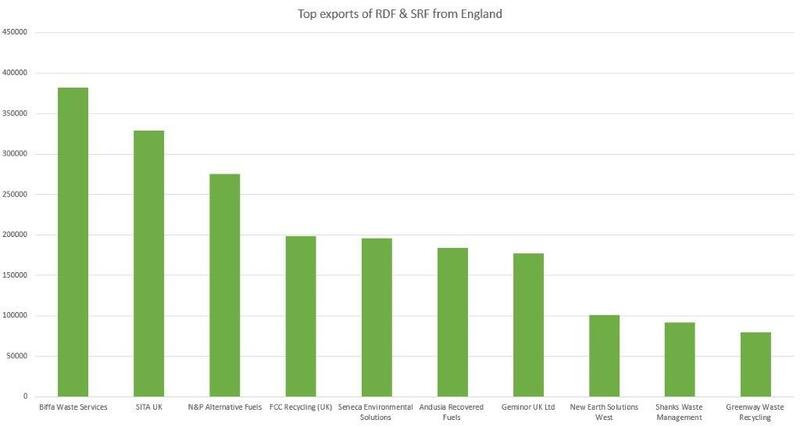 Commenting on the figures, Steve Burton, co-director at Andusia Recovered Fuels Ltd, claimed that much of the additional tonnage recorded in 2016 had been achieved via new SRF outlets – suggesting RDF exports had now peaked. Original article published on Letsrecycle.com on 5th January 2017.